Hyperbaric Oxygen Therapy is a medical treatment that uses the administration of 100% oxygen at a controlled pressure for a prescribed amount of time. Located in the spacious outpatient center, our Backus team of board certified physicians and certified wound specialist nurses are trained in advanced wound care and hyperbaric medicine. Hyperbaric Oxygen Therapy is approved by the American Medical Association (AMA) and the Food and Drug Administration (FDA) for the treatment of numerous conditions, including diabetic ulcerations, radiation tissue injuries and Osteomyelitis. While more than 6.7 million Americans live with a chronic wound, Michele Penn didn’t want to be one of them. The 67-year-old New London resident found herself with a gaping wound in her right breast after emergency surgery to remove cellulitis. The wound stretched six inches in length, two inches wide and almost an inch deep. “I was discharged with a wound vacuum to clear the discharge from the wound, but I certainly did not want that device for any longer than absolutely necessary,” Penn says. She was referred to the Backus Hospital Wound Care Center where specially-trained wound care nurses removed the vacuum and, twice a week, applied special bandaging and collagen around the wound’s edges instead. After a few weeks, the wound got smaller and Penn was more comfortable changing the bandaging herself at home. Less than a month later, her wound has been healing from the inside out and is almost entirely closed. “I wanted to get back to my real life as soon as possible. They told me, ‘We’ll do whatever makes you happy because if you’re happy, you’ll heal better,’” Penn recalls. 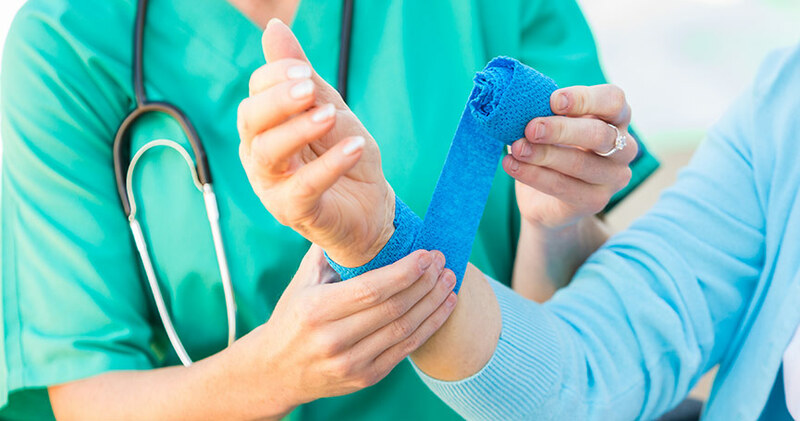 Advanced wound care may be needed after surgery, as in Penn’s case, or if a wound has not begun to heal within four weeks or completely healed within six weeks. “There are a variety of advanced wound care treatments and therapies that can help treat chronic wounds, including hyperbaric oxygen therapy,” says Mark Tramontozzi, MD, medical director of the Backus Wound Care Center.